Today I am going to talk to you about the Wacky Ware bowl and lid. What a great product. We have actually really been enjoying this bowl we have been putting Jayce's snacks in it and he seems to really like it. It comes in very bright assortment of colors. We received the red one. You can even heat this in the microwave or put left overs in it to keep in the fridge. And comes with this tightly sealed lid. This bowl is so durable and great for toddlers!! Jayce eats oatmeal in the morning and can't wait to try that out in the bowl also. You can find the Nuby Wacky Ware bowl at dd's Discount or if you can't locate them there you would want to try ross dress for less. I forgot to mention how easy it is to hold this bowl because it even comes with handles so that you can hold onto it better. This is definitely going to be a great travel item to put snacks in when we travel around and since it has this great lid it will be easy to pack in the bag. 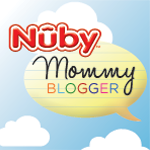 Make sure you follow Nuby on Facebook and Twitter!! !